The Madison Historical Society was first organized on September 3, 1958. Meetings are held on the third Thursday from May to September. 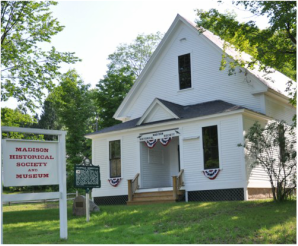 The Madison Historical Society Museum, located at Madison Corner, is open from 2-4 each Tuesday from June through Labor Day and by appointment. 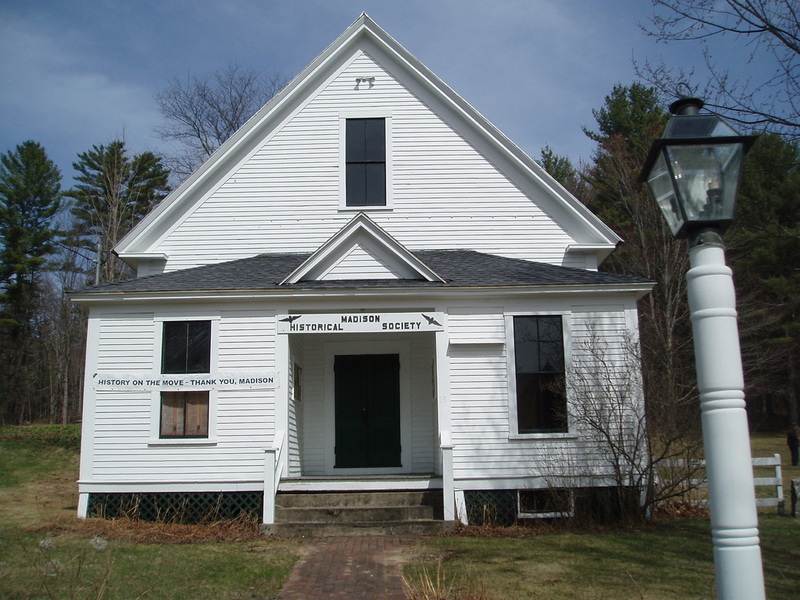 1852 - The first Town Meeting was held in the Union Meeting House (Harmony Hall). 1853 - There was a Warrant Article to see what measures the Town would take in regard to a Town House. ​1854 - A Petitioned Article regarding the building of a Town House was passed over each year until 1884. 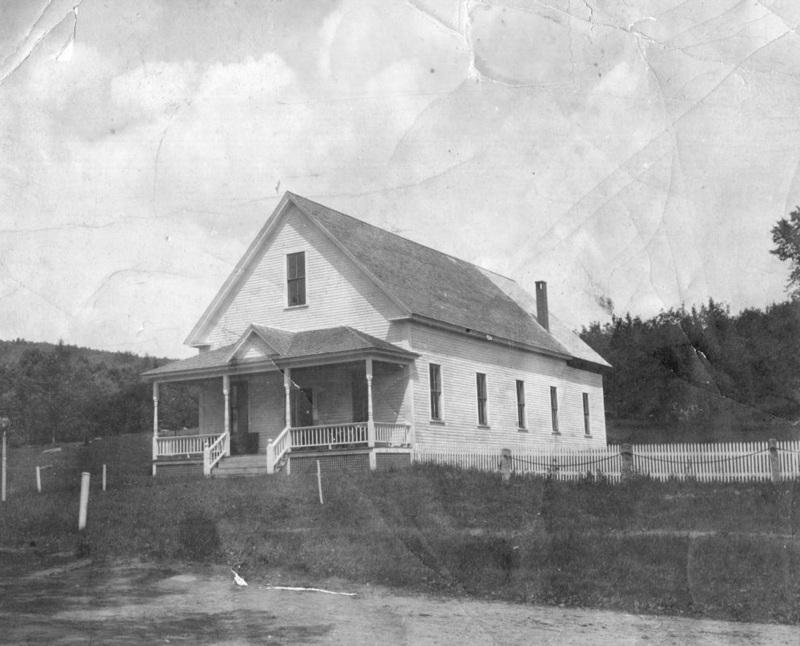 ​Meetings were held at Jesse Ferren's house, the Madison House Hall, Jotham Harmon's Store, School House District 1, School House District 2, Alonzo Bickford's House, and the store of Langdon Atkinson. ​1885 - A Town House was built by Nathaniel Nason at the cost of $800 for materials, labor and painting. ​1886-1913 - Repairs were done each year, including underpinnings, painting and shingling. ​1918 - Electricity was installed. 1920-1921 - An annex was added (kitchen) and two chemical toilets. ​1923-1945 - Repairs were done off and on. ​1945 - Town meetings were held in the Odd Fellows Hall (now the current Town Hall) in its original location across from the lake. ​1948-1958 - The old Town House was used as a recreation hall. 1955 - There was a Warrant Article to move the building to the school grounds. ​1958 - There was a Warrant Article to see what action the Town would take regarding use, repair or sale of the Town House. ​1959 - The Madison Historical Society began holding meetings in the old Town House and started a collection of archives. ​the building was moved over onto it, a distance of about 20'. The Madison Historical Society is very grateful to the Town and its voters for their continued support!